Lionel Messi struck his 500th Barcelona goal past Costa Rican goalkeeper Keylor Navas, tending the nets for Real Madrid, with the last kick of the game to blow the La Liga title race wide open with a thrilling 3-2 win in Madrid on Sunday. Messi had broken a three-year goalless drought against Madrid to cancel out Casemiro’s opener for Madrid in the first half. 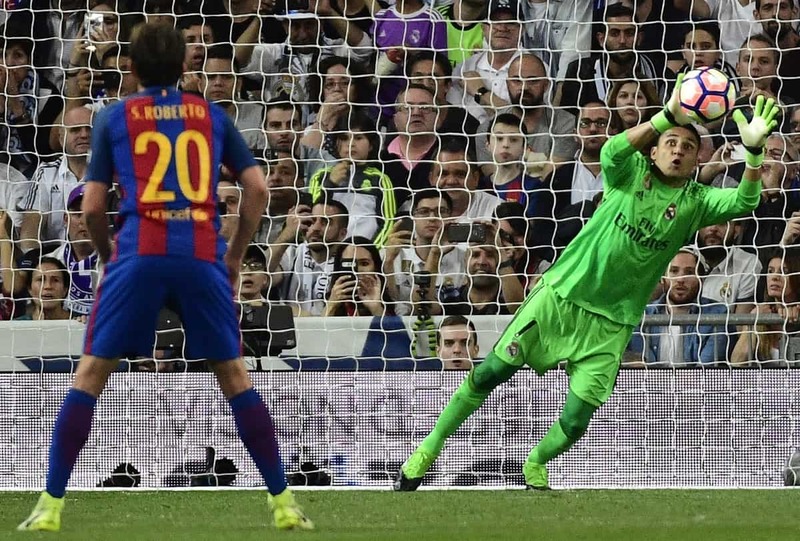 Ivan Rakitic’s stunning strike and a red card for Madrid captain Sergio Ramos for chopping down Messi 13 minutes from time put Barcelona on course for victory before James Rodríguez came off the bench to level four minutes from time. However, fittingly, Messi had the final say with a brilliant finish deep into stoppage time to lift Barcelona’s hopes of a third straight La Liga title. Fresh from dumping Bayern Munich out the Champions League in a 4-2 thriller after extra-time in midweek, Madrid had started confidently in another breathless encounter at the Bernabeu; Cristiano Ronaldo had strong appeals for a penalty waived away inside two minutes after he appeared to have been clipped by Samuel Umtiti. Barcelona grew slowly into the game and had their first big chance when Luis Suárez dragged wide Jordi Alba’s fine cut-back from the edge of the box 11 minutes in. Shortly afterwards, Messi was left floored and bloodied after being caught by a stray elbow from Marcelo. Real Madrid went on to score, but the lead lasted just five minutes, as with a handkerchief still mopping the blood from his cheek, Messi danced past Dani Carvajal and Nacho to fire home his first goal against Madrid for three years. Navas had a busy day between the posts overall, coming to Madrid’s rescue on three occasions. 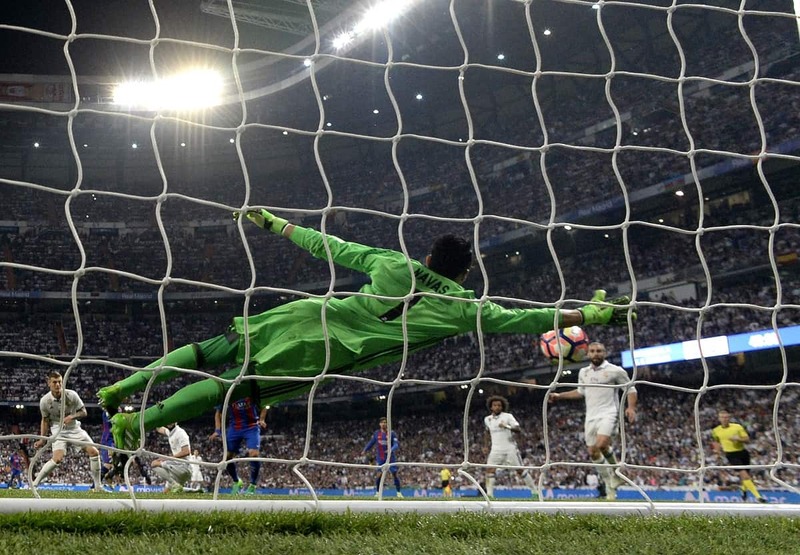 He got a foot to Paco Alcacer’s prodded effort before pulling off acrobatic saves to deny Gerard Pique and Suárez. Ultimately, however, it was Barcelona’s day.